Join today (free! ), as spaces are strictly limited. Enjoy Massive Savings on Norwegian Fjord Cruises. The Norwegian Fjords provide an alternative cruising destination to the sunnier and warmer climes offered by the Caribbean and the Mediterranean. They are certainly not short of stunning sights though, as you will see from the following information. Obviously Norway is the main destination to head for, with its associated fjords, but there are other delights to appreciate en route on some of these cruises as well. Some of the ports of call outside of Norway can include visits to Denmark, Sweden and Iceland. Which ports of call do Norwegian Fjord cruises visit? The ports of call will typically depend on each individual cruise, as there are several well sailed routes through and around the Norwegian Fjords area. Since there are eight fjords in total that cruise ships frequent, you can look for cruises that explore one or more of them. Sognefjord is one of the most popular of all: there is only one other fjord bigger than this one in the entire world. But while you will have the opportunity to watch the stunning scenery go by as your cruise ship moves through the fjords, you will also have the chance to dock at some of the best ports in this area. Stavanger is a famous Norwegian city that provides an excellent day out and hence is often included on a Norwegian fjords cruise. You can also see Tromso, another well known Norwegian city and one of the most famous ones above the Arctic Circle itself. This is particularly notable for offering the possibility of seeing the famous Northern Lights. Remember that daylight is plentiful on these cruises, and you may also get to see the midnight sun. As such, while a Norwegian Fjords cruise offers the possibility of experiencing a trip through some of the biggest fjords the world has to offer, it also offers the chance to explore some of Norway’s finest historic cities. Your time on land in this region will be just as memorable as the sights and experiences you will have on the ship. Let’s see just how memorable some of these cruises are by taking a closer look at some actual itineraries to the Norwegian Fjords area. 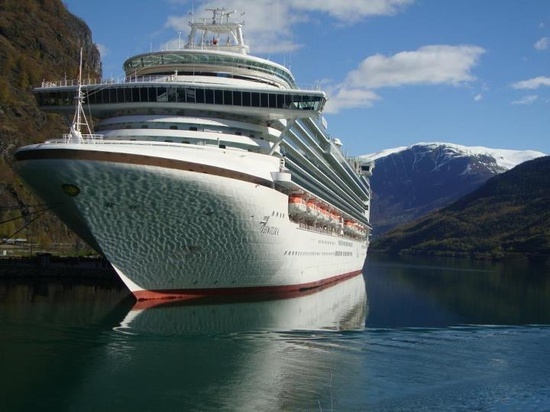 One sixteen night trip with Fred Olsen cruises offers the chance to leave from Portsmouth and travel to Molde in Norway over the space of a few days. After this the cruise is timed to arrive in Tromso in the early evening, with the opportunity to hopefully catch the Northern Lights. After this you will travel on to Alta in Norway, before moving on to Kristiansund and Bergen. Then it is back to Portsmouth to complete the cruise. P&O Cruises has a different itinerary to sample for their seven night cruise to the Norwegian Fjords region. This one leaves from Southampton and travels to Stavanger in Norway before moving on to Flam, Olden and Bergen throughout the week. It then travels back to Southampton to complete the cruise. Another major player in this area is Royal Caribbean. They offer a selection of itineraries well worth considering if you want to explore the Norwegian Fjords. 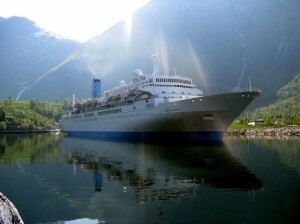 A good example is an eight day cruise which departs from Amsterdam before cruising to Alesund in Norway. You will also see Geiranger, Flam and Bergen before returning to Amsterdam. This would be ideally paired with a few days spent in Amsterdam at either end of the trip. They also have a twelve night trip that sails from Harwich in England, which may be more convenient for you. This heads directly to Bergen in Norway before visiting Flam and Geiranger. It also takes in Shetland in Scotland and the Faroe Islands too, making this a slightly more unusual and ‘full bodied’ cruise. Once it leaves the Faroe Islands it heads for Reykjavik in Iceland before returning to the UK. As you can see there are some classic stops along the route of these Norwegian cruises, and you can book longer trips that also take in Iceland. Royal Caribbean has some cruises travelling to the Norwegian Fjords as you can see. P&O Cruises has perhaps the largest selection of cruises altogether, offering well over two dozen different possibilities to consider. Some of these visit more than one country, so depending on the length of the cruise you could end up visiting several ports in several countries along the way. Fred Olsen also offers some possibilities so you can see it is worth exploring the opportunities offered by every cruise company around today. In short, Norwegian Fjords cruises offer you the ability to see part of the world that is entirely different from the warmer countries further south. Indeed, these cruises offer an experience that is second to none, as you venture further north than you have ever done before. Who wouldn’t enjoy such an involved experience?